The Grand Slam Club/Ovis Convention will be held February 23-26 at the Paris Hotel in Las Vegas. Iran will be a hot topic with two seminars titled "Hunting Iran: Myths, Truths, and Consequences." 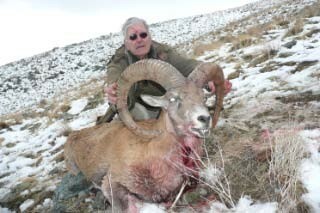 Also, Dennis Campbell's new book,"A Complete Guide to the Sheep and Ibex of Iran," shoud be available. Ken will be in booth #228. 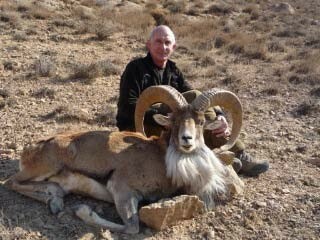 He will primarily represent Iran Jasmin Safaris, the largest hunting operator in Iran. If you can't make the Convention, or you want to get a jump on information or booking, call Ken at his office (800-910-HUNT) or on his cell (830-739-3056) or email him at kwilson@sportsmenonfilm.com. 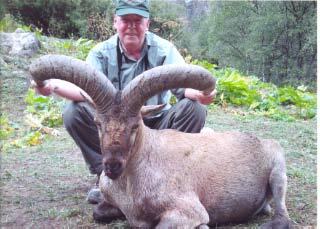 You may hunt SEVEN species of Sheep and TWO species of Ibex in Iran recognized by GSC/O. Sheep prices start at less than $12,000. 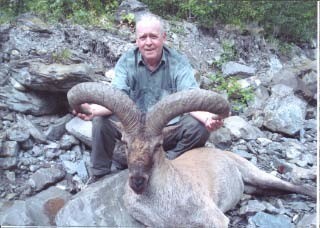 Ken still books the lowest priced hunts available today for Spain (4 Ibex, 2 Chamois, 2 Sheep, 1 Goat) as well as Chamois in Slovenia, Croatia, and Romania, and European Mouflon in Croatia and the Czech Republic. How about the all-inclusive price of $5,950 for a Beceite Ibex or $6,950 for a Ronda Ibex or Southeastern Ibex (daily rate, trophy fee, and VAT)? And don't forget Ken's low-priced hunt for Eastern Tur in Azerbaijan ... only $7,500 for one hunter or $6,500 each for three or more hunters. The season is June 15 to December 15. If you don't want to make the "summer climb," book your hunt November 10 to December 15 when the Tur come down to the bottoms. By the way, Baku, Azerbaijan is only a 50-minute flight from Tehran, Iran. 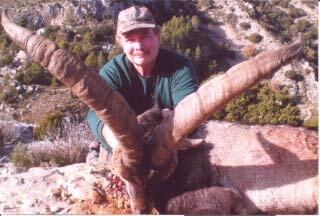 GSC/O recognizes those hunters who successfully hunt the Super 10 or Traditional 29 North American big game animals. Ken (who has shot 28 of the 29), will be offering some high quality hunts for some of the 29 including Tule Elk (only $8,950), Newfoundland Moose ($8,650 for monsters), and CCBG Caribou that few outfitters have available these days in good numbers.